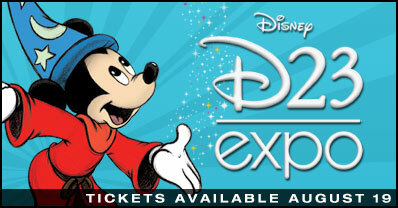 Tickets for the 2nd D23 Expo to be held in August 19-21, 2011 in Anaheim, California go on sale tomorrow. You may be thinking that it’s a bit premature to buy tickets for an event that is still a year away but if you buy now, you can not only get tickets at a discount price, you can also assure that you’ll get tickets at all! Last year’s first ever expo was extremely crowded so if you want to attend, I’d advise that you get tickets now. I’m sure the event will sell out quickly. The Walt Disney Company agreed to acquire online social gaming company Playdo for $ 563.2 million, subject to certain conditions and a performance linked earn out of up to $ 200 million, the company disclosed on Tuesday. With the acquisition, Disney expects to strengthen its digital gaming portfolio, acquire a management team and provide new ways to interact on social networks like Facebook and MySpace. Walt Disney has acquired startup iPhone app developer Tapulous, as the company continues its push into mobile games. Terms of the deal were not disclosed. This acquisition will help Disney in its continuous drive to be the leader in mobile entertainment. 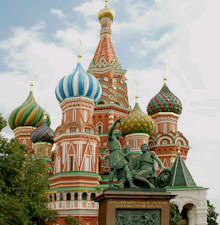 D23, the official Disney fan club that was formed just last year, has put together a fantastic list of events for 2010. Included in the list is a free “50 and Fabulous” screening series featuring classic Disney movies, D23 one-year anniversary events at Disneyland and Walt Disney World, and a special celebration marking the 40th annivesary of the Walt Disney Archives. The Associated Press is reporting that shareholders of Marvel Entertainment Inc. have approved the company’s acquisition by The Walt Disney Co. The $4.3-billion acquisition will close at the end of the day, bringing Spider-Man, Iron Man, and 5,000 other comic-book characters under the same roof as Mickey Mouse, Goofy and Donald Duck. Walt Disney Company recently announced its plans build a 56-acre film/television production facility in northern Los Angeles County, casting a ray of light on an otherwise gloomy film economy that has hemorrhaged thousands of jobs in the last decade. Disney’s official community for Disney fans – D23, has announced a lineup of special events for Fall 2009 which include the first viewing of “The Princess and the Frog,” the opportunity to go behind the scenes of the amazing productions of The Lion King and Mary Poppins and back by popular demand, the legendary lot at The Walt Disney Studios and Walt Disney Archives will be open for guided tours. It appears that Spider Man, Iron Man and other Marvel characters will now become part of the Disney family. Disney announced this morning that they are buying Marvel Entertainment which includes more than 5,000 Marvel characters. Disney fans and enthusiasts will be given unprecedented access to never-before-seen movies, TV shows, park experiences, collectibles and more from September 10 to September 13 at the Anaheim Convention Center when Disney and D23: The Official Community for Disney Fans present the first-ever D23 EXPO. Walt Disney Parks and Resorts recently announced the purchase of a 15-acre site in National Harbor, Maryland overlooking the Potomac River for $11 million. The site is slated to be home to a 500-room resort, though Disney has not yet announced details or a start date for the work. Located close to the District of Columbia, the National Harbor development is a 300-acre complex, which will eventually contain hotels, residences and a convention center. Mashable reports that Disney has announced that it’s acquired a stake in quickly growing video site Hulu, joining News Corp and NBC Universal in the venture. That means full-length episodes of ABC hits shows will be available side-by-side with content from NBC and News Corp’s FOX. 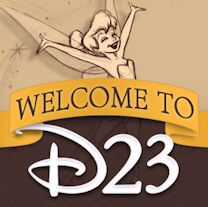 Disney has recently launched D23, the first official community for Disney fans in the company’s 85-year history. Through D23, fans will go backstage and behind closed doors to get the inside scoop from every part of Disney, while experiencing the nostalgia, adventure and fantasy of Disney as never before.